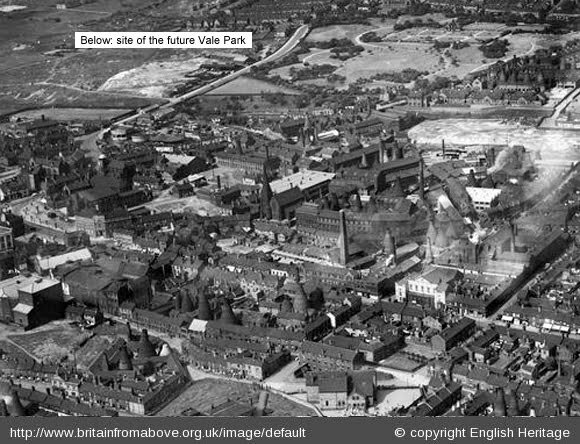 A 1934 aerial image on the website Britain from the Air shows how Burslem looked before the Vale Park stadium was constructed on the Hamil Road. 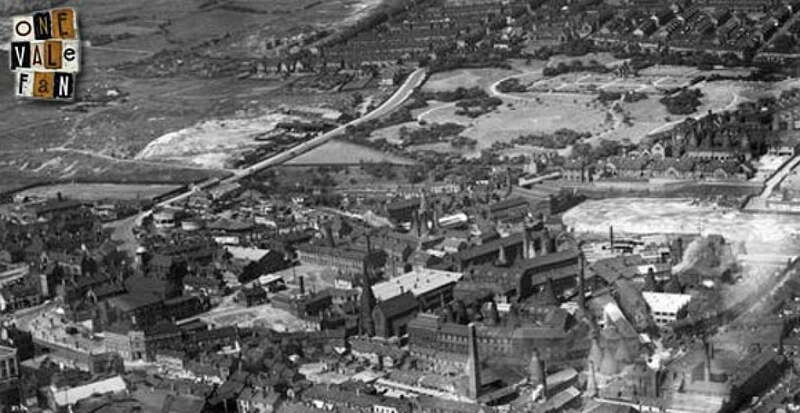 The image (which can be viewed on the Britain from the Air website) was taken in 1934 and shows a clay pit (the white patch below our note) and a small collection of buildings (belonging to the “Bycars Brick and Pipeworks” company which used the adjacent clay pit) on the site of the future stadium. 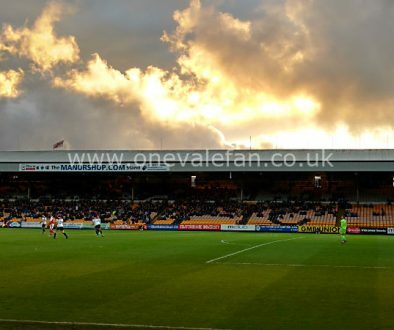 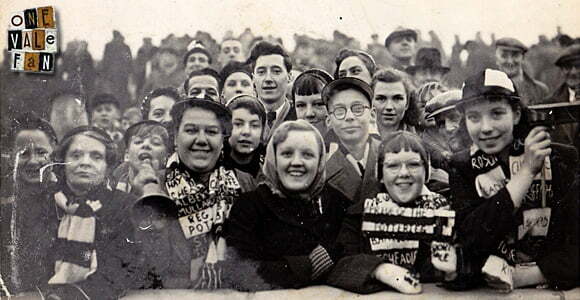 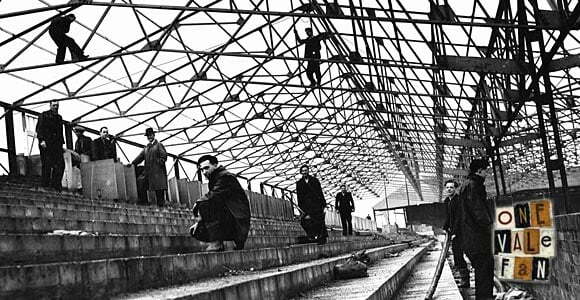 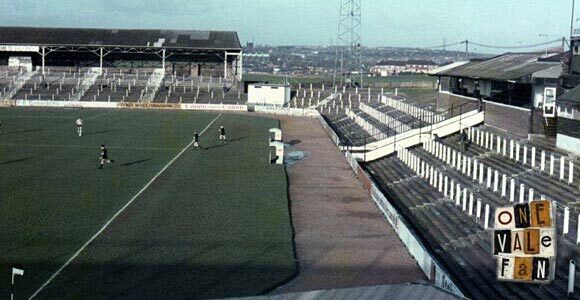 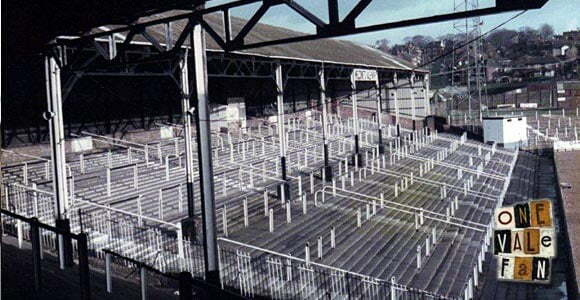 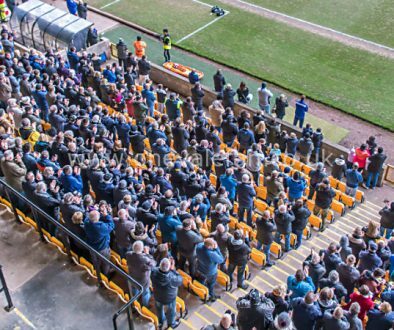 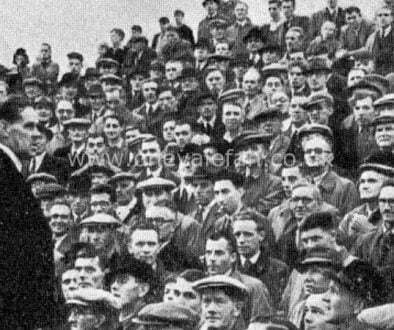 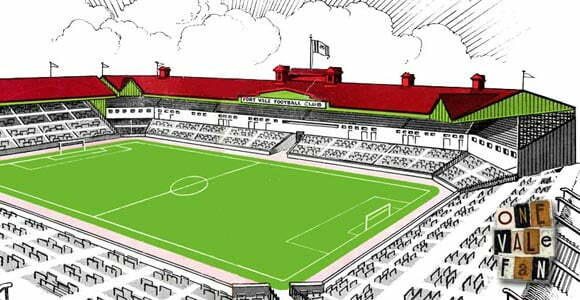 The land for Vale Park was purchased in 1944 and the stadium was opened in 1950. 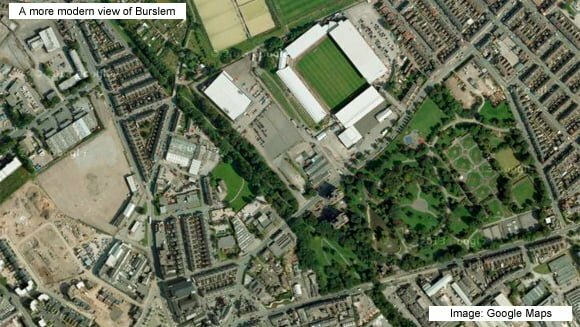 Vale moved to their new stadium from the Old Recreation Ground which is also featured on the Britain from the Air website. 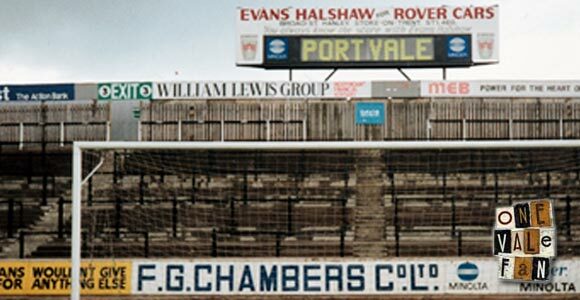 Thanks to John Cartwright for his help with this article.